Martin Luther King, Jr. Day is the most significant national volunteer event in the U.S. It is a time when nonprofits and volunteers come together in support of their neighbors and their communities. 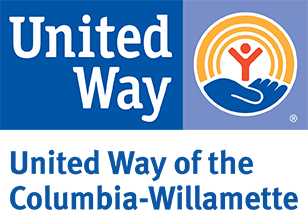 United Way celebrates Dr. King’s legacy by coordinating the MLK Weekend of Service and mobilizing over 1,200 volunteers in Clark, Clackamas, Washington, and Multnomah Counties. We coordinate over 70 volunteer opportunities that fit into our mission of breaking the cycle of childhood poverty. This is a great event to sponsor and be a part of Dr. Martin Luther King’s legacy of giving back to your community. Sponsorship opportunities range from $5,000 to $25,000. The Hands On Greater Portland Community volunteer project calendar is our community calendar, which highlights volunteer opportunities. The project calendar has an average of 14,000 views per month and an average of 9,000 unique visitors per month. Hint: Be a sponsor October – December when the highest amount of individuals and companies are searching for volunteer opportunities. Sponsorship opportunity available at $5,000. Space is limited. The Hands On Greater Portland Partner Breakfast is designed to celebrate the companies that post their volunteer opportunities with Hands On Greater Portland. Each year, the nonprofit community comes together to celebrate with food, inspiration, networking, and engaged learning! We look forward to working with you to advance our mission and the volunteer programs we support. Sponsorship opportunities range from $2,500 to $10,000. Hands On Greater Portland BusinessCares is a fee for service program where Hands On Greater Portland will research, develop, and manage a volunteer project for your organization. BusinessCares makes it easy for your company or organization to get involved in our community in a meaningful way. Because of the experience we've gained putting thousands of volunteers to work since 1996, we know what the real needs are, know how to organize fun and meaningful volunteer opportunities, and know what it takes to motivate volunteers. Hands On Greater Portland makes it easy for companies of all sizes to make an important, lasting, and positive impact on the community. We will work with you to customize your BusinessCares sponsorship package. All of our opportunities are meaningful and well-organized and start at $50 a volunteer slot.